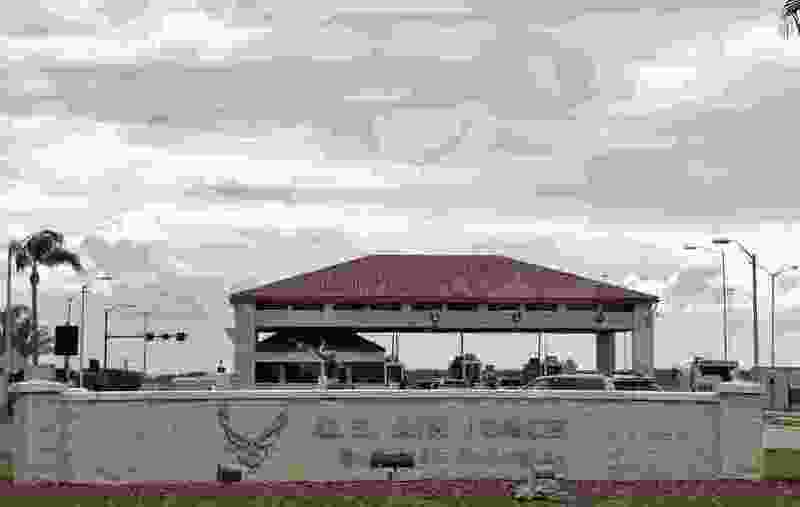 (Chris O'Meara | The Associated Press) The main gate at MacDill Air Force Base Friday, Jan. 13, 2017, in Tampa, Fla. The Mayo Clinic, the National Institute of Environmental Health Sciences and the National Cancer Institute have suggested environmental hazards such as untreated wastewater can play a role in those conditions. Beckstrom, 37, said her family’s medical problems began after they moved into the home in February 2011 but does not have medically conclusive statements from doctors that point to a cause.